There were many charlatans and occultists in Russian history, but only a few of them were admitted to the highest echelons of the ruling elite. Here is a look at three personalities, who enjoyed the trust of Russian rulers. From time immemorial people with ‘supernatural’ powers were perceived to be a source of divine knowledge and power. In Russia, like everywhere else, such people offered paying patrons a glance into their future and suggested ways to avoid fatal mistakes. This kind of power was priceless for the ruling class. RBTH looks at the three mysterious figures that in one way or another were connected to Russian leaders. Grigory Rasputin, who became a household name in many countries, was one of the most controversial figures in Russian history. To this day there is no consensus on whether he was a holy miracle worker or a charlatan. Born in a peasant family in Siberia in 1869 Rasputin received little schooling and reportedly never learned to read or write. After years of pilgrimage he arrived in St. Petersburg in 1903 and quickly became popular among the aristocrats obsessed with mysticism and occult practices. With time he became acquainted with the royal family and won the trust of the Tsar Nicholas II by helping his son Aleksey – the only male heir to the throne – who was suffering from hemophilia. 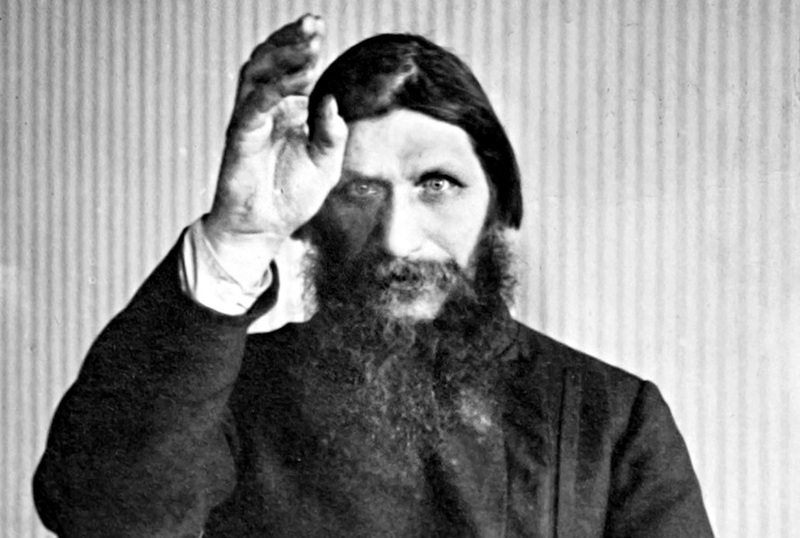 Rasputin was able to ease his condition. While making official decisions, the Tsar consulted Rasputin, who even tried to convince Nicholas II to avoid a war with Germany. The healer was, unfortunately, unsuccessful. The First World War began in 1914 and turned out to be a disaster for the country, claiming the lives of more than four million Russians. Rasputin even predicted his own death and warned Nicholas about the dangers facing the country in the near future. In a letter sent to the Tsar in December 1916, he predicted that there would be no peace in Russia for 25 years if the Russian nobility assassinated him. The predictions came true. On Dec. 30, 1916 Rasputin was killed by members of the Tsar’s inner circle. Shortly after the assassination, Russia witnessed a revolution. Less than two years after the predictions were made, the royal family was executed. There were many rumors about the women in Soviet leader Joseph Stalin’s life, but one of them, Natalia Lvova, was much closer to the leader than anyone else. However, she was not a lover. Being a daughter of a famous clairvoyant from St. Petersburg, Lvova was summoned to Moscow by Stalin himself in 1930. The Soviet leader was said to believe in supernatural powers and felt that psychics could be serious allies in his political endeavors. According to Igor Obolensky, the author of the book ‘The memoirs of Stalin's mother,’ Lvova protected the leader from the ‘evil eye’ and negative influences of his political opponents. As a protective measure from black magic, Lvova reportedly advised Stalin to not be photographed, and to not reveal his real date of birth. There were rumors that the majority of Stalin’s pictures were actually photos of his doubles. According to these rumors, the only authentic picture is the one where the Soviet leader is shown half-turned with eyes covered, and with a tube in his mouth. It was impossible to use this photo for black magic because the eyes were closed and the tube formed a protective shield. It is also likely that Lvova advised Stalin on staff reshuffle decisions that seemed unusual at times, but almost always turned out to be correct. To this day few details of Lvova’s life have emerged. Eugenia Davitashvili, better known by the name Juna, was a Russian faith healer who cured many prominent people in Russia and abroad. She was “discovered” by Leonid Brezhnev, a man she admired until his death. He brought her from Tbilisi, Georgia to Moscow, and she lived near the Kremlin. Juna promoted the use of bioenergy for medical purposes and reportedly saved Brezhnev from death many times. He died a few months after she stopped being his personal healer. She became an object of intense examination in Russian academic circles and her abilities were constantly tested by the most respected scientists. Their findings showed that Juna was able to affect bodies at the molecular level and improve the characteristics of blood cells. She argued that everyone had bioenergetic abilities, but only a few could focus their power on curing diseases. Juna helped many high-level officials and public figures during the course of her life, including Mikhail Gorbachev and Boris Yeltsin. In an interview in 2012 Juna admitted that she had a good relationship with Vladimir Putin and Dmitry Medvedev and was even asked to heal former Ukrainian President Viktor Yushchenko, but she refused. Juna predicted the Chernobyl disaster in 1986, the August coup of 1991 and the dissolution of the Soviet Union. The healer, who died in 2015, was mostly optimistic about the future of Russia. Juna did not think that the western sanctions on the country and the Ukraine crisis were a big deal for Russia. However, she said that there could be a clash of global powers if the conflict in Ukraine lingered on for more than two months.